Rexting | A Consequence of Hypoglycemia. The funny thing is, conversations like this are completely normal for weirdos like us. 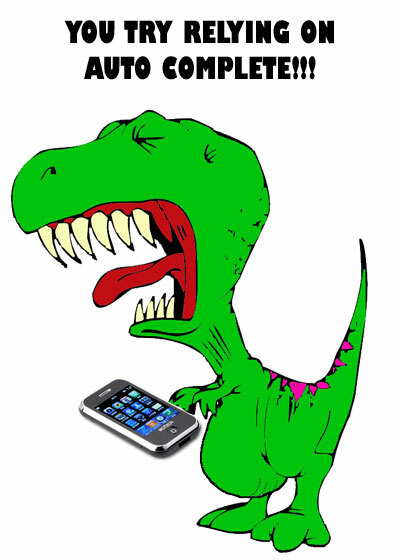 @iam_spartacus I'm imagining a T-Rex trying to type a message on his eye-phone with his little arms, and it just doesn't work well. Little Known Fact: Siri has problems interpreting RAWR!!!! Normally this is where I would say something silly like, “it makes sense if you have diabetes” only it doesn’t make sense. It shouldn’t make sense. But this is the type of community that we are part of. Conversations like this, clip-art mashups like this. It’s all par for the course.